Think about the way some of the most famous products are packaged. Can you imagine a Hershey’s Kiss without its shimmery, silver foil and white ribbon spouting from the top? Can you picture a Barbie Doll without its see-through box? Packaging designs help evoke a feeling that you can associate with the product. The use of colors, fonts, and structures help to dictate how consumers experience the brand itself. Even when social media and online shopping rule, product packaging having a memorable in-person presence is essential. Just ask these eight products which still find success with their iconic designs. How can anyone think about honey and not think about Winnie the Pooh? Well, there happens to be a connection. Dutch Gold Honey Inc. was the first company to use the bear-shaped bottle about 60 years ago. A.A. Milne, the creator of the world’s most famous bear, had just died, so it was still in the news. Ralph Gamber, Dutch Gold Honey’s founder, said that because bears like honey, then they should package their honey in a bear. Andy Warhol may have turned the Campbell’s Soup can into art in the 1960s, but the famous red and white design dates back to 1898. When the company first launched, the cans actually appeared in blue and orange. But when the company’s treasurer, Herberton L. Williams, attended a football game between the University of Pennsylvania and Cornell University, he was so inspired by the red and white uniforms donned by Cornell; he suggested the drastic change. If it’s around Valentine’s Day, you’re sure to walk into any convenience or grocery store and find shelves full of candy in heart-shaped boxes. But did you know when this concept started? Richard Cadbury, who ran the British chocolate company, Cadbury, designed the colorful package himself. Each box contained “eating chocolates.” The privileged society of the Victorian era often gave chocolates to show affection, so they became trendy. And when Valentine’s Day became commercialized, Cadbury saw an even more significant boom for their heart-shaped box. When it comes to seltzer containers, LaCroix definitely stands out. It’s flashy font, and vibrant color schemes make you think of an island oasis as you drink every last sip. And their branding and packaging haven’t changed since 2002. Lyle Zimmerman, the head of Alchemy Brand Group, designed the can’s packaging, even though National Beverage – LaCroix’s parent company – hated it. However, consumers loved the unique design. Back in 1911, most salt packaging made it difficult to pour salt. And if the weather wasn’t cooperating, meaning it was raining, damp, or humid, the salt was even more challenging to get into shakers. Morton Salt was the first to use a round package with a metal spout, and also kept the salt safe from airborne moisture. And the now-famous little girl with the umbrella? The ad agency, N.W. Ayer & Company, developed the concept to show that the salt will always pour, even on rainy days. As soon as a woman sees the iconic little blue box with the white ribbon, she knows she’s about to receive something special… and shiny! 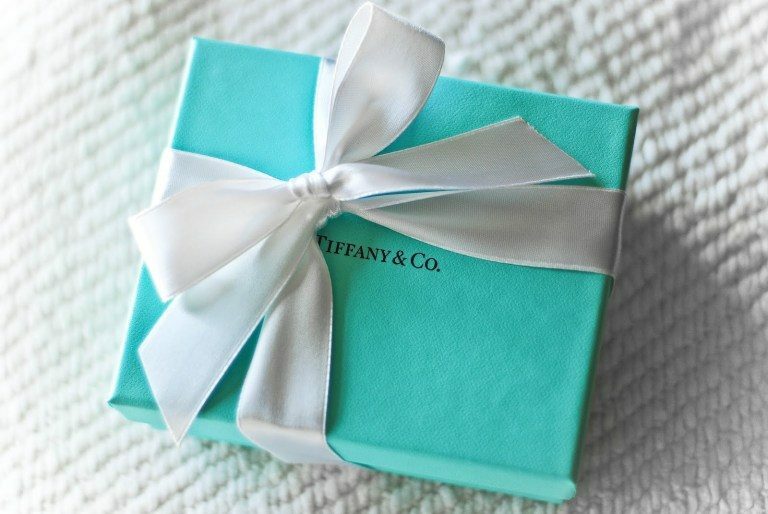 Since 1878, Tiffany & Co.’s little blue boxes have become synonymous with luxury and classiness. No one knows for sure why the founder, Charles Lewis Tiffany chose that particular shade. However, turquoise jewelry was trendy among wealthy women at the time. In 1906, chocolatier Theodore Tobler, thought outside of the box, literally, for his candy bars, already in a three-sided mold. Using the Swiss mountain, the Matterhorn, as inspiration as he created a pyramidal box with his production manager, Emil Baumann. According to Tobler’s sons, however, his inspiration came from Parisian dancers forming a human pyramid. Interested in making your product stand out with a unique packaging design? Our Orange County graphic design team would love to hear from you. Call us at 949-200-6910 or contact using the form below.